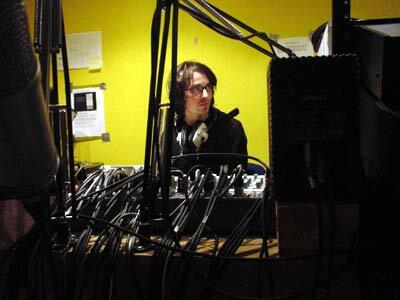 Resonance104.4fm is London's first 'radio art station', created by the London Musicians' Collective. Their basic studio is appropriately situated in the musician's Mecca, Denmark Street, and their broadcasts are streamed on the web atwww.resonancefm.com. I sneaked this photo during an interview with Andrew from Indymedia.